Many of the masterpieces of the 15th and 16th centuries have been attributed to Oushak. The popular star and medallion carpets originated in Oushak. 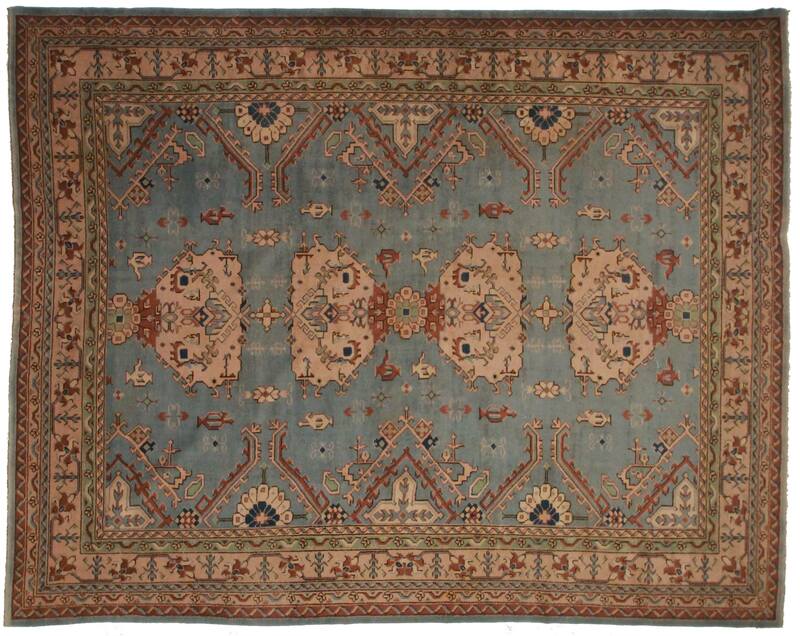 The late 19th century saw the rejuvenation of Oriental rug production, at this time Oushak re-surfaced as a preeminent center of weaving industry. The new Oushak industry saw two major shifts in design: floral patterns in the Persian tradition were incorporated into design and room size, decorative carpets were woven as European standards demanded.